Wren Myers is joining the Sam M. Walton College of Business at the University of Arkansas as assistant director of development. Prior to joining the Walton College, Myers worked at the Arkansas Alumni Association for nearly two years. During that time, among other duties, Myers served as special projects coordinator, in which she worked directly with the executive director, associate executive director and director of finance on programming, planning and prospect tracking. Myers began her career as a management trainee and beverage sales and customer relations representative for PepsiCo in Tulsa, Oklahoma, securing sales of more than $10,000 per day. 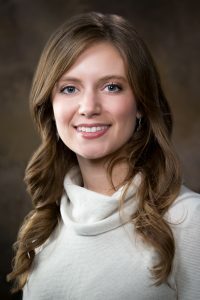 She holds a bachelor of science degree in business management with a minor in human resources from the Spears School of Business at Oklahoma State University. Myers is actively involved in the community through serving at her church, volunteering at her local sorority chapter at the U of A and aspires to begin a mentorship for young women. She starts her new position Nov. 6.